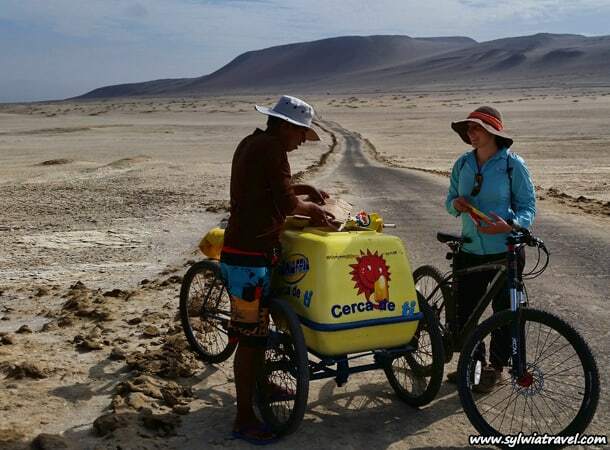 Would you like to experience an exciting a one-day bicycle trip in Peru, through a desert? Well, you can! Go to Paracas, 3-4 hours by bus from Lima, rent a bike and visit Paracas National Reserve (Reserva Nacional De Paracas). It’s a stunning adventure, guaranteed! 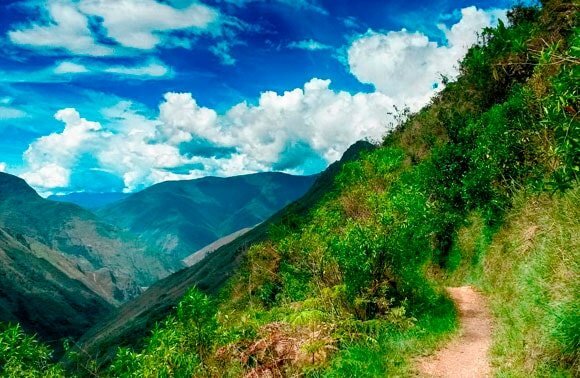 Peru is a perfect place to ride a bike. Even the most demanding travellers will find their ideal routes. 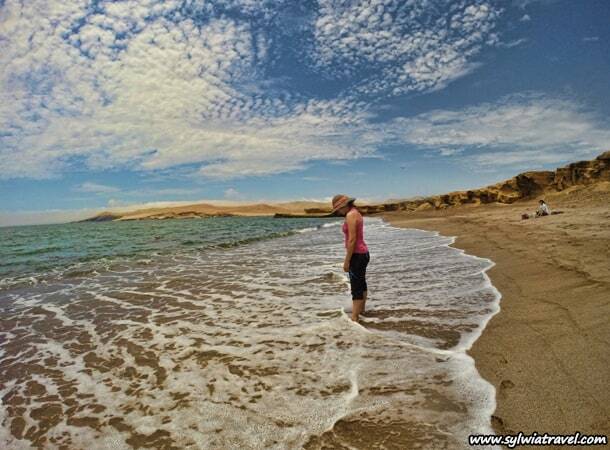 The Paracas National Reserve is a great choice if you enjoy the sun, endless deserts and postcard-like beaches. With a bike, you can experience all these things over a few hours. 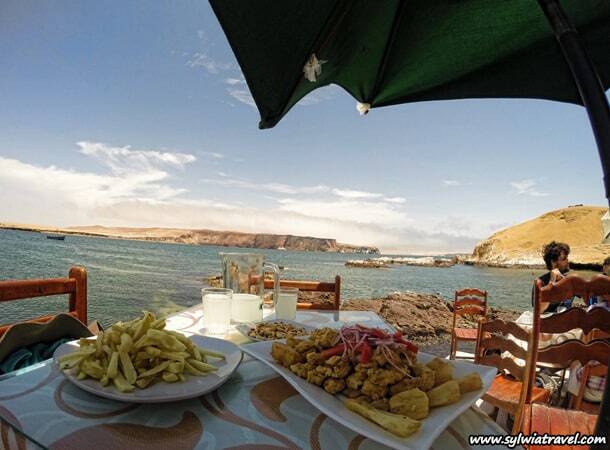 The best time to visit Paracas is between December and April. During this time, you will have sunny, cloudless weather. Be warned though, that February is extremely hot and dry – so either avoid taking this cycle trip during this month, or be sure to bring lots of sunscreen, water and a quality hat. 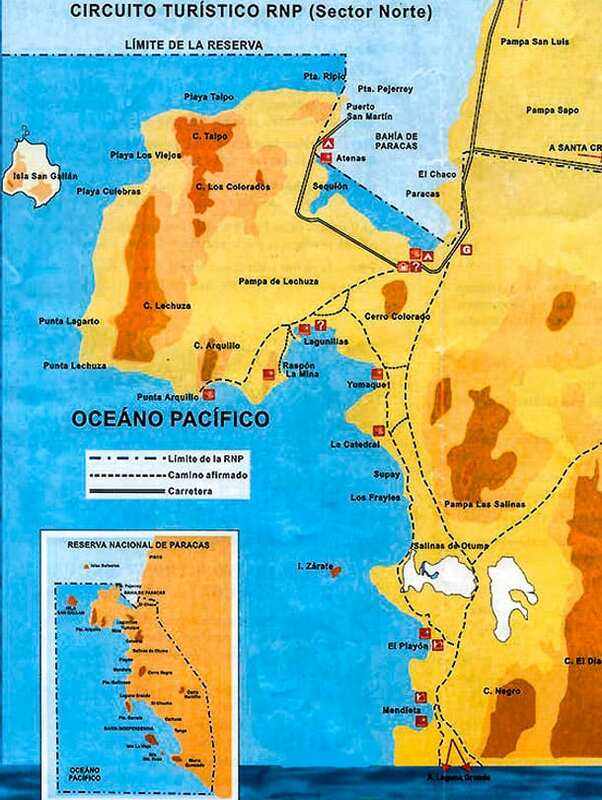 If you are travelling from Lima, you can take a direct bus to Paracas, which takes 4 hours and costs around 25 Soles. Alternatively, you can take a 20 Soles bus to Pisco, which is situated around 20 km from Paracas; and then take a taxi to Paracas for 20 Soles or a local bus (colectivo) for 3 Soles. 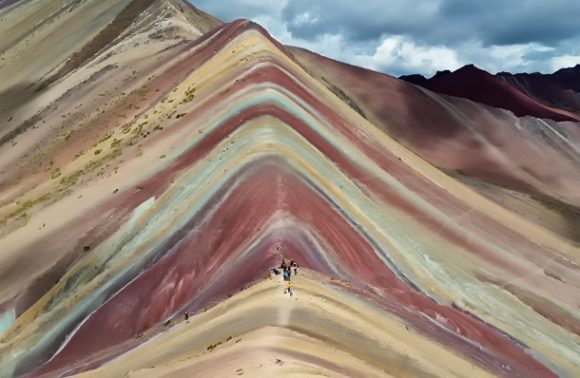 I recommend that you leave Lima at 6 AM or earlier, giving you enough time to visit some interesting sites during your first day. 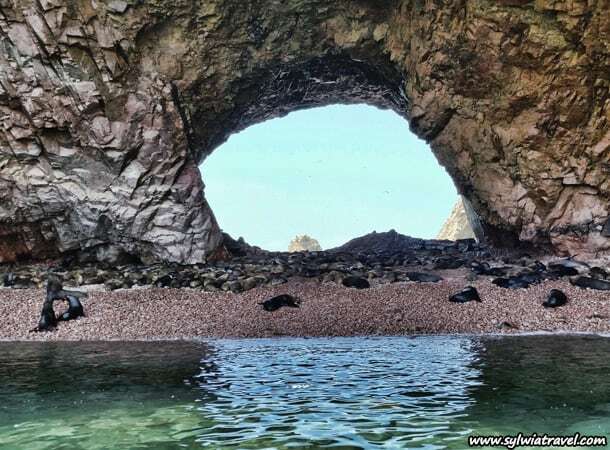 For example, the Ballestas Islands (the last boat to this attraction leaves from Paracas at midday – more details can be found below). It is best that the bicycle ride is organized for the next day, as you will want as much daylight as possible to explore the different corners of the national park. Where to rent the bike? After arriving at Paracas, you will need to find a bike – a simple matter, as almost every travel agency provides bicycles to rent. The price of renting a bike for a full day varies between 25-45 Soles. So before making a choice, always inquire about the price AND quality of bikes, at a range of agencies. Doing so can save you money and save you from having your seat fall off in the middle of a barren desert (yes this happened on one of our trips). Do not forget to bargain – we managed to rent our bikes for 25 Soles for the day! If you already found a suitable bike, all that remains is just to hit the road. We advise you to rent your bike in the evening for the next day and start riding just after the sun rises – around 6 AM. This is because the sun in Paracas is very strong and it becomes really hot after 9 AM. So by starting early, you would have passed the driest part of the ride (a long stretch of desert without shade or visible coast) without suffering. Riding near the coast is not a big issue as you are treated to cool breeze, however, when riding through the pure desert, the respective time of day plays a big role. 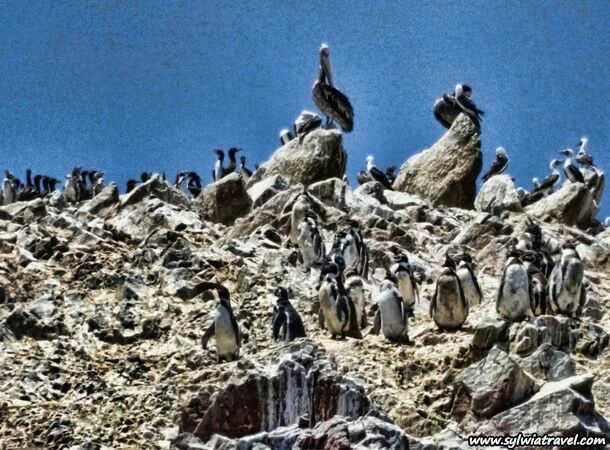 From which side of Paracas should you start the tour? 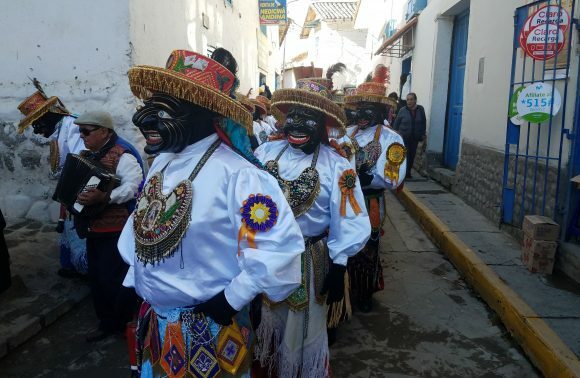 Some people recommended us to do a circle from Paracas through Lagunillas and Playa Roja – Red Beach, through Yumaque to La Catedral (The Cathedral) and then come back to Paracas. But when we checked the map we realized that it is not the best idea, and that it is more comfortable to go in the opposite direction. So first we rode towards La Catedral (the Cathedral), than to Yumaque and then to Lagunillas – to Playa Roja and from Playa Roja we had only around 7 km to come back to Paracas. 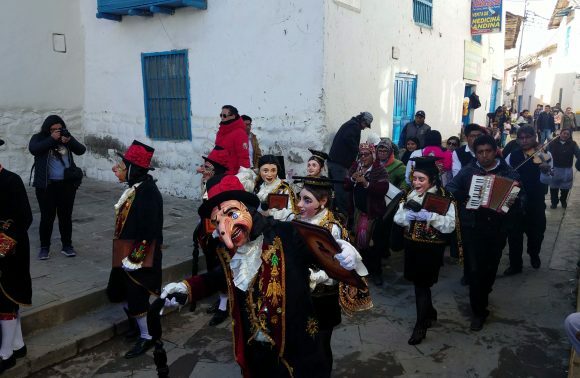 The stretch from Paracas to La Catedral to Yumaque to Lagunillas is empty – without any shops or restaurants. This part is generally desert, only occupied by you possibly a couple of tourists. In Yumaque, you have the possibility to enjoy the sea and beach – your next opportunity will be in Lagunillas. If you are very lucky (as we were), you might meet the ice cream man! In the middle of nowhere, after 1.5 hours of riding from Paracas towards La Catedral, we met a young man who was pushing a cart full of treats. After devouring multiple ice creams and talking to the man for a while, everyone happily went in the own directions. Evidently, the ice cream company Cerca de ti (close to you) is doing a great job. Their ice creams are literally always close to you – even in the desert! Only in Lagunillas can you have a proper meal (and a delicious one too). So I recommend that you eat a substantial breakfast in the morning and arrive at Lagunillas for lunch. You will also enjoy the food a lot more after having cycled throughout the morning. The ride from Lagunillas back to Paracas is around 45 minutes. In Lagunillas you can enjoy really nice beaches – like for example Playa Roja. 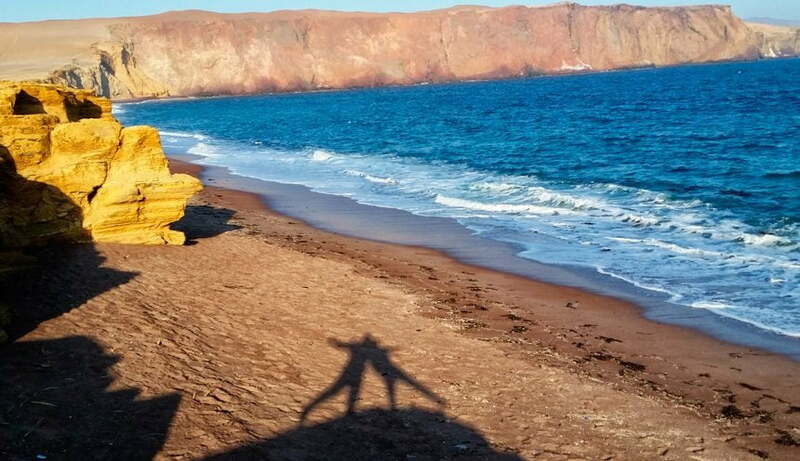 A video documenting our wonderful day in Paracas National Reserve – check it out! What to do in Paracas besides biking? During the day you can take a boat to the Ballestas Islands. You will have the chance to admire wild birds and mammals; including sea lions, fur seals, boobies, and Humboldt penguins in their natural environments. 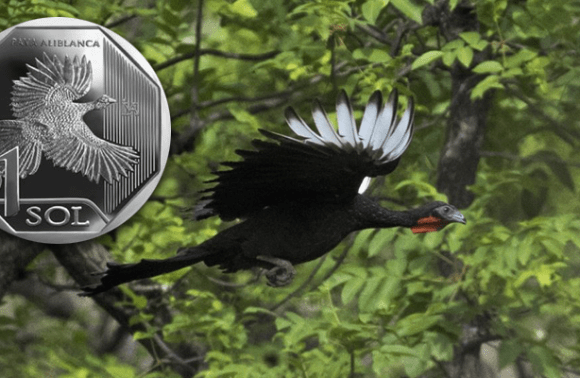 Good choice for animal lovers and bird watchers. This boat trip takes 2 hours but is definitely worth it. The price is around 40 soles, including the entrance ticket to the National Park. Just remember that the last boat leaves the port at noon. 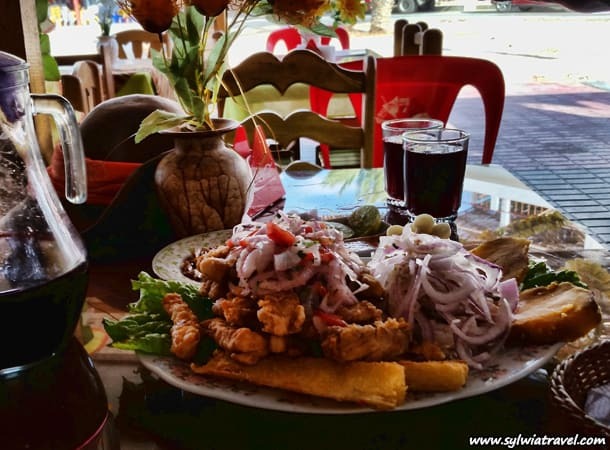 Being a coastal town, you can eat delicious ceviche or jalea in the many restaurants close by beach, and take a lovely walk on the beach while enjoying the beautiful sunset. I recommend walking on the beach in the direction of the national park, as it has more wildlife. Whether you are passionate about biking or not, do not miss an opportunity to organize a bicycle trip in Peru – at least once :-). There are so many options and levels of the bike roads in this country, so I guarentee that you will find one that suits you best and will be a lot of fun. 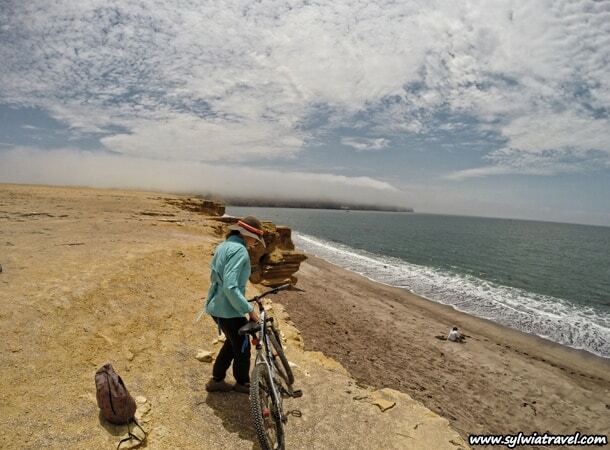 to do biking trip in Paracas National Reserve you have some options: shorter and longer. Shorter bike trail takes around 4-5 hours – slowly and with many stops; longer around 1,5 hour more. There is even much longer trail, but it will take all the day. 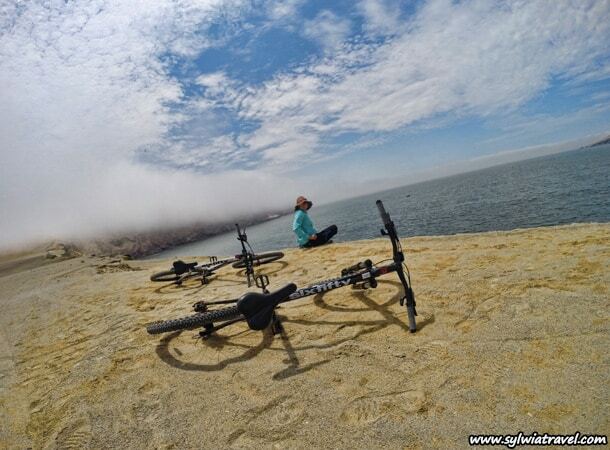 In general during biking in the park you have many beaches where you can enjoy nice views and it is really worth to stop for a while there and just reslax. It means that every bikig tour takes longer then it normaly can take :-). 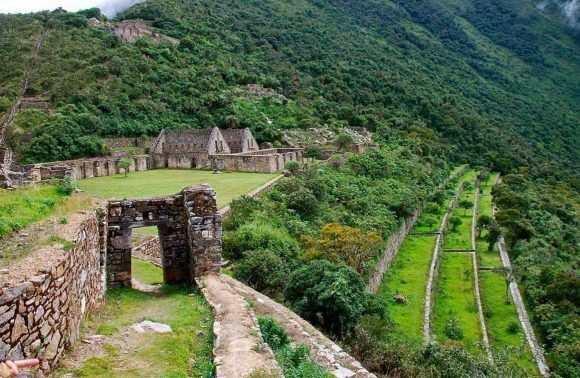 The entrance fee for National Reserve is for one day, so if you will use it in that day, you need to buy new one to entrance in the other day. Sometimes you can ask the guard to let you entrance if for example one day you just did only islas ballesas and the next day you are planing to do biking trip – sometimes it works. If you will start the biking at 6 am what I ecommend (less sun, fresh) there will be now one to check the ticket. But when you iwll coe back, yes there is the control. Depends of course at what tme you will come back. Thanks much for the very helpful advice. Welcome 🙂 If you need any other advice just leave the question below any of the articles related with the question. I will try to help. Would it be too complicate, or too costly to arrange a taxi from Paracas to Huacachina for the evening and return to Paracas for the night. We would like to go to the sand dune to take pictures, but seems like the tour are more tailor for sandboarding. it is not so complicated to take a taxi, but can be quite expencive – depends on the type of taxi. But I do not recommend to do it, because unfortunately some taxi are fake and it can be dangerous – especially during the evening. There are many buses going very often from Pisco to Ica – so you can take one of them and will be safe. The journey takes 1 hour. From Paracas to Pisco you need to take taxi (20 minutes around) or colectivo – but not all the time there is colectivo. The other option is to ask in the travel agency, who will find the safe taxi for you – but it will be definitely more expencive in compare when you are looking by yourself – but for sure more safe too.